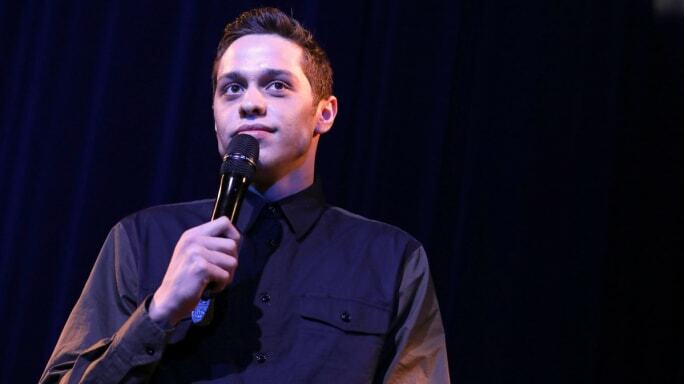 A month after posting suicidal messages on social media, Pete Davidson has returned to Saturday Night Live. 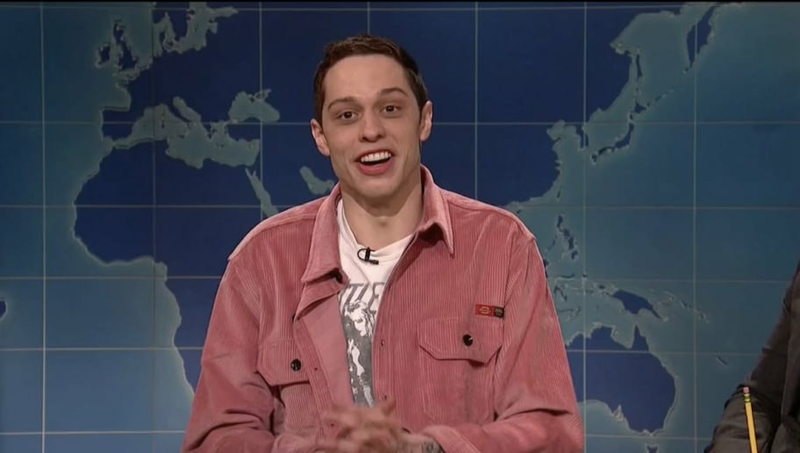 While Davidson recently made a comeback to stand-up, last night was his first SNL appearance since the day he posted the messages that led to Ariana Grande rushing to the show's set. And in classic Pete fashion, he poked some fun at himself and the situation. In his usual segment, "Weekend Update," Pete was joined by fellow comedian John Mulaney to provide a comedic review of the new Clint Eastwood film The Mule. After being introduced by the segment's host, Colin Jost, Davidson said, "I'm great, as you know, I've had a really crazy month, and I wanna talk about something that matters a lot to me." "Mental health?" Jost asked. Davidson hilariously responded, "No, the new Clint Eastwood movie, The Mule," which garnered a bunch of laughs from the audience. After Mulaney and Davidson's review, the two discussed their interesting friendship, which Mulaney joked seems like he's his lawyer. "But for real, I've been spending time with Pete to try to show him that you can have a life in comedy that is not insane. A sober, domestic life," Mulaney said. "Yeah, and after observing John's life, I publicly threatened suicide," Davidson quipped. "I'm sorry, I know I shouldn't make that joke but it's funny." Some fans watching at home thought the joke was a bit too dark. After Davidson's joke, there was a sweet moment where Mulaney assured the comedian, "You are loved by many... and we are glad you are OK."
But the reason many may have tuned in to the segment was to hear Pete's comments about Ariana. Though it was a brief address, he seemingly mentioned her at the very end of the segment by gleefully saying, "I didn't mention her once!" If comedy and self-deprecating humor helps Pete cope with the breakup and his mental health issues, then we'd be out of our lane for criticizing his edgy jokes.